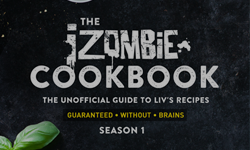 iZombie: Rose McIver — Fansite dedicated to kiwi actress Rose McIver – Page 87 – iZombie: Rose McIver — Unofficial Fansite dedicated to kiwi actress Rose McIver. Create by fans, for fans. Last night (as mentionned on the previous post) Rose was at the Los Angeles premiere of her new movie ‘Brightest Star‘ at the Sundance Sunset Cinema. 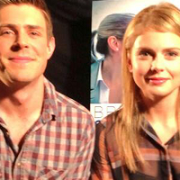 For those who don’t know, this new movie ..
As you should know, January 31 is a big day for Rose McIver. Her new movie, ‘Brightest Star‘ will be released ..
Hi everyone! After two months on being a source on twitter about the multi-talented Rose McIver, i’m happy and proud ..
Rose McIver is a rare talent: a child star emerging unscathed into adulthood – with a fan in Peter Jackson, no less. ..
Rose McIver has been working since age 3, thanks to commercials and TV shows in her native New Zealand, as well as two Disney ..
Rose McIver has a friend with a tightrope in his backyard. It’s a home-made set-up so it could be a bit dodgy. But she’s ..